Voter disenfranchisement is one of the most symbolic contemporary acts of political violence against Asian Americans—the perpetual foreigner within a political system designed to privilege white racial identity. 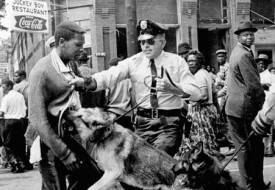 In fact, Asian Americans as a racial group could not vote until 1952, and all people of color were disenfranchised by racist policies, like prohibitive taxes, literacy tests, no language access, and other measures until the protections of the Voting Rights Act of 1965 and amendments made in 1975—only one year before my parents immigrated as part of the U.S.’s brain drain of Asia. Currently, a so-called voter fraud prevention firm is being hired by state governments to disenfranchise millions of voters. It’s being called a “massive purge”, and tens of thousands of the mostly black, Asian, and Latino voters on the list have already been disappeared from the rolls. A six-month-long, nationwide investigation by Al Jazeera America (AJAM) described the purge: “At the heart of this voter-roll scrub is the Interstate Crosscheck program, which has generated a master list of nearly 7 million names. Officials say that these names represent legions of fraudsters who are not only registered but have actually voted in two or more states in the same election—a felony punishable by 2 to 10 years in prison.” The names are compiled by matching names like Jackson, Garcia, Patel and Kim across states, as being representative of voters who committed fraud by double voting. Interestingly, AJAM noted that 73 percent of Asian Americans across ethnic groups voted Democrat in the last presidential election—a fact that Crosscheck is likely aware of. Yesterday’s mid-term elections continued to support that leaning, as found in an Asian American Legal Defense and Education Fund exit poll of Asian American voters in 11 states–New York, New Jersey, Massachusetts, Pennsylvania, Virginia, Maryland, Michigan, Texas, Georgia, Louisiana, Nevada, and Washington, DC. To be clear, this state-sanctioned voter purge by Crosscheck is unconstitutional, and, quite frankly, disgusting to anyone who shares even the most elementary value or fairness. It is not, however, a new occurrence. 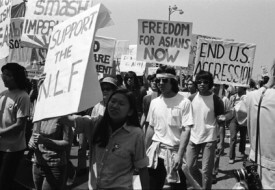 Asian Americans, like other people of color, are frequently targeted for disenfranchisement. Voting is and will continue to grow as a critical issue for APIAs. While plenty can be said about the electoral process (the master’s tools and all that), civic engagement is one way to pass policies that advance racial and social justice. Given the prevalence of the model minority myth in the media and how deeply APIAs have internalized it, politicizing Asian American voters to resist racially discriminatory and xenophobic policies that affect our communities and other communities of color is a whole other story.